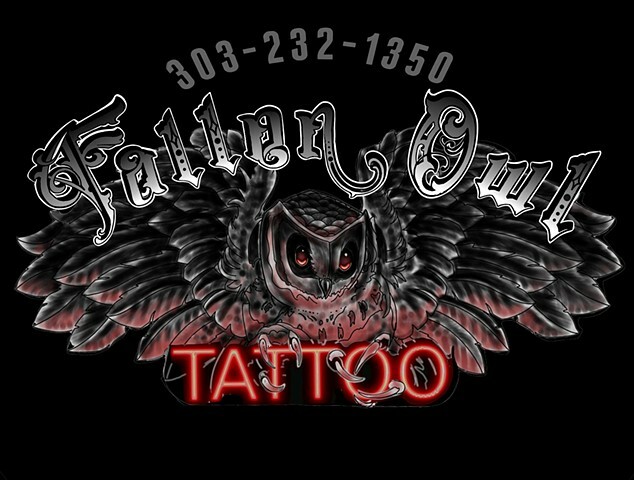 In January of 2010 Fallen Owl Tattoo Studio was born. In its first year, and every year since Fallen Owl Tattoo has been voted one of the top tattoo studios by Denver's A-List and other notable publications. Artist-owned and operated, Fallen Owl was built with clients' comfort and safety in mind. A versatile custom tattoo shop, Fallen Owl specializes in everything from fine line black and grey to big bold color tattoos. Located conveniently in Lakewood Colorado, just 10 minutes from downtown Denver.